Minister Yoav Galant says Israel must renew momentum of Jewish settlement in north and south amid massive illegal Bedouin construction. The Housing and Construction Ministry held a ceremony to mark the launch of a strategic plan for the construction of 40,000 housing units in the Negev and the Galilee as part of the realization of the Zionist vision Thursday. 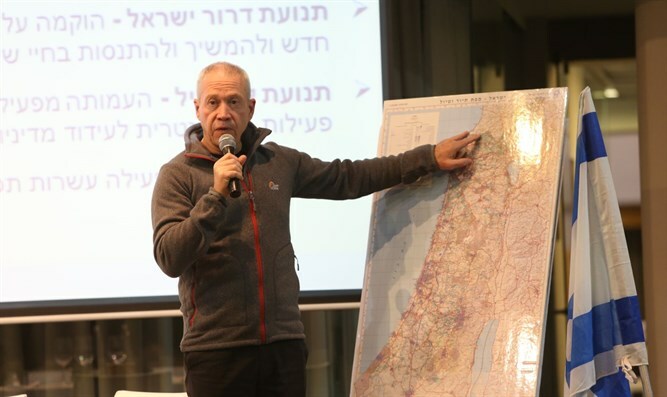 Housing and Construction Minister Maj.-Gen. Yoav Galant said at the conference that "we are initiating a strategic plan that represents a significant step towards realizing the Zionist vision of settlement. I attach great importance to cooperation with the youth and youth of the settlement movements, who in practice are implementing the vision of Zionist settlement in our generation." "Such cooperation will lead to tremendous development and renewed settlement momentum in the Negev and the Galilee, and to the realization of the shared vision - the settlement and development of the country in all its areas. For all of us, a national home is the Land of Israel. In addition to building houses, we in the Construction and Housing Ministry see as a mission the construction of the Zionist youth spirit that builds and settles the land." Minister Galant added, "I am concerned about the Zionist hold on the State of Israel, and I pin my hopes on our excellent youth, who will lead the development and settlement of the country in all its parts ... It should not be possible for there to be a situation where the state makes decisions on settlement based on objections by lawbreakers, mainly on the basis of nationalism. " Galant said that he was shocked at the illegal takeover of vast tracks of land in the Negev by Bedouin. "We must not lose our hold on the south. I have been in the southern sector for many years. Today, when I come to the Negev and look at the surroundings of Be'er Sheva, I am shocked by the amount of illegal Bedouin construction in recent years. "In certain parts of the central Galilee, the situation is similar," Galant warned, "We must restore the momentum of Jewish settlement to the Negev and the Galilee."